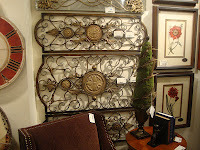 We saw so many great pieces of Wall Decor at the Las Vegas Furniture and Furnishings Show. 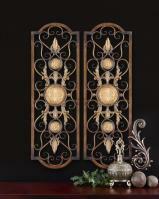 Check out these fabulous Uttermost pieces. We love the hand embossed finish on the metal and the grand scale of these pieces. 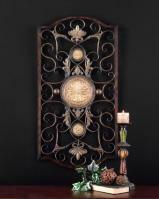 The wall plaques are available as 1 larger piece, or a set of 2 narrower pieces. They are available now on our website, www.cheapchicdecor.com.